Think Plastic Surgery is Not for You? For some, undergoing a surgical procedure to fix your appearance may seem extreme. However, it is based on the same reasons why people wear make-up, buy new outfits or whiten their teeth – to look better. It doesn’t mean you are vain if you invest in cosmetic surgery. In fact, plastic surgery can greatly improve your self-esteem and quality of life. 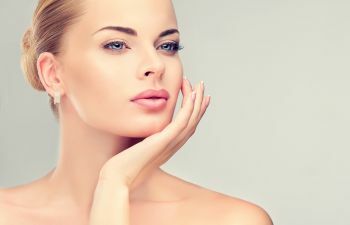 Additionally, plastic surgery is also used for reconstructive purposes, such as correcting a facial birth defect or deformity from a traumatic injury. Plastic surgery can be one of the most effective ways to gain better confidence; it doesn’t mean you are obsessed with your looks. If only the most elite economic and social classes could afford plastic surgery, there wouldn’t be as many nationwide plastic surgeons as there are today. While cosmetic surgery is typically not covered under medical insurance, there are still many procedures that are within reach for the average person. Some involve simple corrections that make a dramatic difference, such as an eyebrow lift or lip augmentation. To make plastic surgery even more affordable, many offices offer CareCredit, an easy monthly financing plan to spread out your payments. Although women still make up the majority of plastic surgery patients, more and more male patients are walking into plastic surgery offices. In fact, a 2016 Plastic Surgery Statistics Report shows that 1.3 million total cosmetic procedures were performed on men, and the trend of males seeking plastic surgery has been on the rise for the last decade. Men primarily seek rhinoplasty and eyelid surgery. At Beverly Hills Center for Plastic & Laser Surgery, we want you to know that our cosmetic procedures aren’t restricted to the vain, rich or female gender. We perform a full scope of surgical and non-surgical procedures on all walks of life. What can we do to improve your confidence?